1-In May 1964 before England’s trip to Lisbon for a match vs. Portugal, six members of the national team (Bobby Moore, Bobby Charlton, Gordon Banks, Ray Wilson, George Eastham and John Byrne) broke curfew and slipped out of the team hotel for a night on the town in London’s West End. This was discovered when routine inspections were made. When the six players returned passed curfew, they saw that Ramsey had placed each players passport on their bed. This was a way of letting them know that he knew. The next day after breakfast, he announced that they were people he needed to see and they know who they are. The players followed him out of the room and he made them understand that it better not happen again. 2- The controversial Atletico Madrid Chairman Jesus Gil hired and fired managers at will during his tenure. During just the two seasons 1992/93 and 1993/94, he changed coaches 11 times. 3-After the World Cup Qualifier on October 19, 1988 between West Germany and Holland, the customary exchanging jerseys did not take place. 4- After Brazil’s dismal showing during the Confederations Cup of 2001 at Japan and Korea Republic, Brazil manager Emerson Leao resigned while at the Tokyo airport before the trip back to Brazil. He resigned on the spot after being told by national team co-coordinator Antonio Lopes that he would be fired upon his return to Brazil. 5-For about 12 days between May 6th and May 18th, 1985, Argentina teammates and Italian Serie A players: Diego Maradona and Daniel Passarella traveled back and forth between Europe and South America to play for the National team as well as their respective clubs of Napoli and Fiorentina. They traveled in excess of 40,000 km and 65 hours of flight. On May 6th: Flight from Rome to Buenos Aires. May 13th: Flight from Rome to Buenos Aires. -Match number 597 for Hungary and number 481 for Brazil. -This was only the 5th meeting between the nations. - The previous match between the nations was a Friendly on July 21, 1971 in Rio that ended in a scoreless tie. -The next match between the nations, as well as the next in Budapest and the last to date, would be a friendly on April 28, 2004 won 4-1 by Brazil. -Brazil had not defeated Hungary since November 21, 1965, when they won a friendly 5-3 in São Paulo. -Hungary’s previous victory over Brazil was on July 15, 1966 when they defetaed Brazil 3-1 during the World Cup in Liverpool, England. -This was Brazil’s first match on Hungarian soil. All previous matches had been in Brazil or Neutral (1954 and 1966 World Cup matches). -Brazil played West Germany four days before on March 12 as their first match of the European Tour and lost 0-2 in Frankfurt. -Tele Santana had been opposed to this European tour during the cold European winter and had vetoed it. However, such was the outcry by the West Germans and the threat of $175,000 fine that Brazil had no choice but to participate. Santana was successful in canceling the match vs. Wales that had also been one of the original opponents on this tour. -There was such hype for Brazil’s visit that Hungarian Federation had received 300,000 demands for tickets. -This was Brazil’s heaviest defeat since losing to Belgium 1-5 on April 24, 1963. Their next worst defeat would be on July 3, 1987 vs. Chile (0-4 loss) during Copa America. 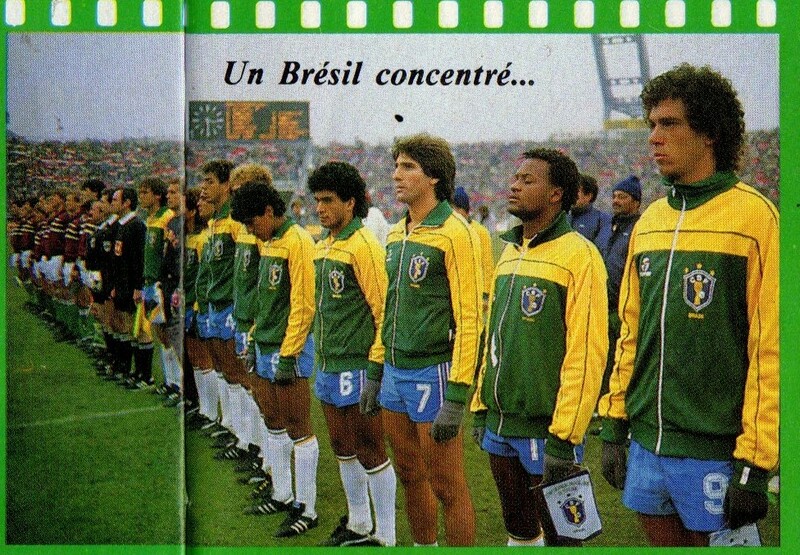 -The last time Brazil had conceded three goals was on June 22, 1983 vs. Sweden (3-3 tie). -France manager Henri Michel and Spain manager Miguel Munoz watched the match from the stands. -Brazil’s unused substitute Eder, one of the stars of 1982 World Cup, would be sent off, in a friendly vs. Peru in April, for hitting an opponent. He was excluded from Brazil’s World Cup squad. -Tele Santana became the second Brazil manager to manage in two consecutive World Cups (1982,1986). Mario Zagallo led Brazil in 1970 and 1974. -Hungarian star Tibor Nylasi missed this match through injury. -Hungary’s Antal Roth missed this match through injury. Kardos took his spot in the lineup. -Brazil’s Zico and Leandro missed this tour through injury. -Brazil captain Socrates missed this match through injury. Some claimed it was a diplomatic injury, as there may have been words exchanged between him and Santana that led to his exclusion. 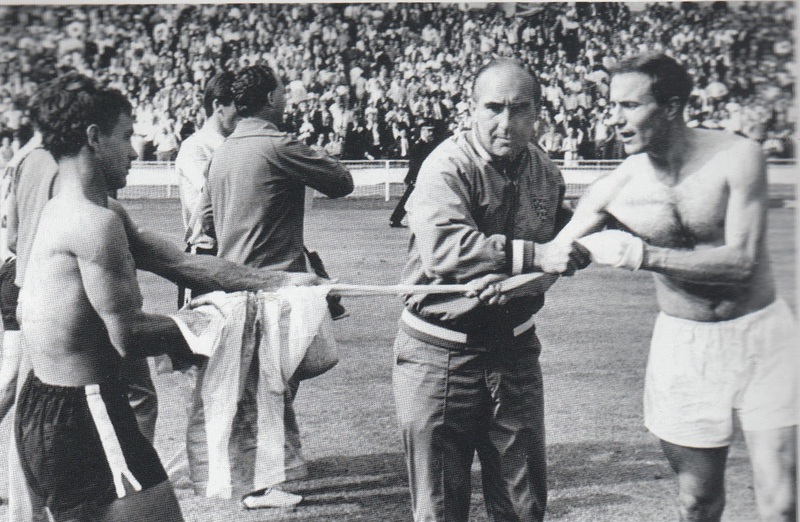 -Brazil’s Luis Muller who played vs. West Germany four days before, did not start this match. Renato took his place. Muller did however come on as a substitute. -This was Elzo and Silas’ first caps for Brazil. Dida, Sidney and Muller had earned their first caps just four days prior vs. West Germany. -Brazil’s Roberto Paulo Falcao who played vs. West Germany four days before was overlooked for this match; Elzo took his place. -Brazil’s Walter Casagrande who played vs. West Germany four days before as a midfielder played as a striker for this match. Taking Careca’s place from the West Germany match. Careca was overlooked for this match. -This was one of the worst displays by a Brazilian national team, who were not match fit and clearly unaccustomed to the cold, as well as missing many experienced players. -This was the last Hungarian team that has qualified for the finals of a major tournament. The loss vs. USSR (0-6) during the World Cup that year started their two decades long decline. They had qualified impressively from a group containing Austria and Holland and played well in the friendlies prior to the tournament. Much was expected of them but they performed horribly in the World Cup by losing heavily to USSR and France. -Gyorgy Mezzey who had been appointed Hungary manager in 1983, resigned after the World Cup Finals later in the year. 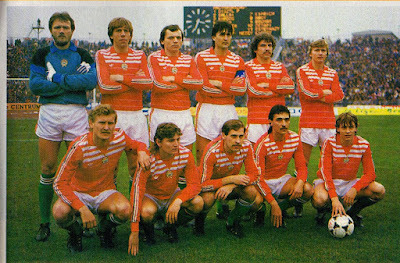 He subsequently managed Hungary again for a few matches in 1988. -Both Emerson Leão (2000-01) and Falcao (1990-91) managed Brazil. -Elzo and Mozer later became teammates at Benfica. -Alemao. Silas, Renato, Casagrande and Muller eventually signed for Italian clubs, as did Hungary’s Detari. -Prior to this tour, Brazil had not played since the World Cup Qualifiers the previous June, almost nine months of inactivity. -This was Hungary’s first match vs. South American opposition since losing 1-4 to Argentina during 1982 World Cup. -Hungary’s Varga, Burcsa and Esterhazy were the only foreign-based players on either team. -Emerson Leao’s first cap since 1983, he would play one more match for Brazil on April 30th vs., Yugoslavia. -Second and Final cap for Brazil’s Sidney. Sidney was dismissed from Brazil’s world Cup squad after training without permission while recovering from injury. -Hungary’s Gyorgy Bognar was injured and substituted in the 9th minute by Burcsa. -Brazil’s squad was entirely made up of home based players. Italian based Brazilian players Cerezo, Edinho, Dirceu and Junior were not authorized by their clubs to participate on thei tour.